The first part of the presentation provides a brief introduction to Interdisciplinary Research, followed by some ideas on managing interdisciplinary research projects (budgets, meetings, and most importantly, people). The second part of the presentation focuses on an NSF IGERT Project titled “EIGER – Exploring Interfaces through Graduate Education and Research.” Dr. Little played a central role in developing the overall EIGER concept and served as Director for about half the project. In addition to technical research on natural interfaces, social science research was applied to the education, training, and research components of the program. EIGER psychologists and experts in education studied the entire operation identifying which approaches were most effective, and what steps were necessary to overcome cultural and institutional barriers. This knowledge was incorporated in the core classes (“Interdisciplinary Research in Science and Engineering” and “Leadership and Team Processes”) thereby creating a positive feedback loop that enhanced the rate at which we accumulated expertise in interdisciplinary research and education. The presentation concludes with a vision for an Interdisciplinary Incubator that builds upon the new model for Interdisciplinary Research and Education that emerged during the EIGER Project. By improving the effectiveness of interdisciplinary teams, overcoming complex institutional barriers, and disseminating these practices broadly, interdisciplinary research can be made more effective, thereby speeding the solution of the world’s most pressing interdisciplinary problems. Dr. John Little is a Professor of Civil and Environmental Engineering and serves as Coordinator of the Environmental and Water Resources Engineering Graduate Program. His general research interests are cross-media mass transfer and process dynamics in environmental systems, although he has focused intensively on two primary topics: migration of contaminants from materials into air and water, and lake and reservoir management. Dr. Little is Chair of the International Society of Indoor Air Quality and Climate (ISIAQ) Scientific and Technical Committee: Sources, Monitoring and Evaluation as well as Chair of the International Water Association (IWA) Specialist Group on Lake and Reservoir Management. 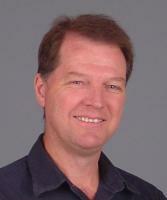 He received a National Science Foundation CAREER Award in 1996 and was elected to the ISIAQ Academy of Fellows in 2008. His two most recent PhD students received the top research awards in their respective fields. Dr. Lee Bryant received the 2011 Association of Environmental Engineering and Science Professors/CH2M Hill Outstanding Doctoral Dissertation Award while Dr. Ying Xu received the 2011 Yaglou Award for being the “most promising young researcher” from the Academy of Indoor Air Sciences.